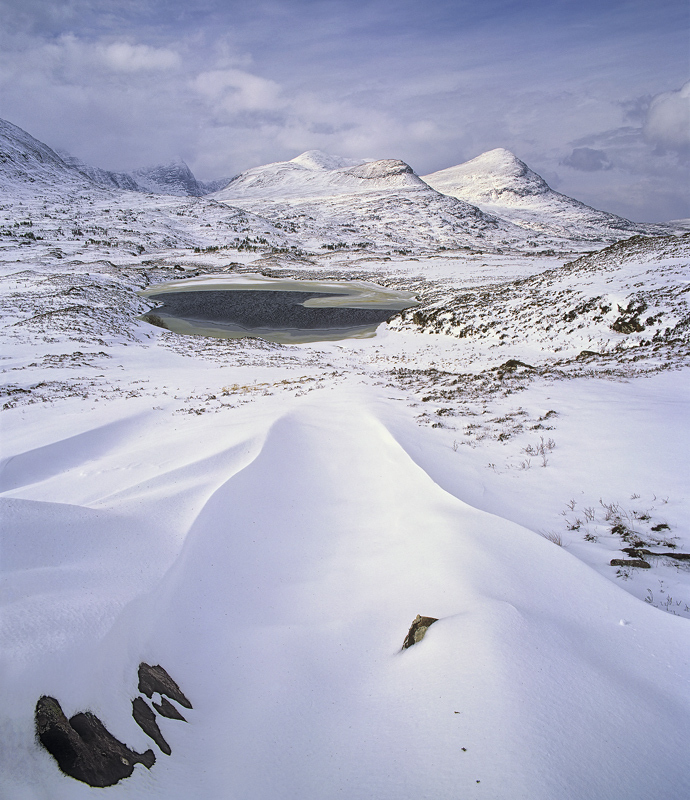 Beautiful sculpted snow lines triangulate onto a partially frozen loch nestled in a basin in the Inverpolly reserve. It was an insanely beautiful, high key and unusual scene shot in some very extreme conditions. I loved every minute of it and when the sun came out well it just got better and better.